Congratulations Week 11-16-15 & 11-23-15 Giveaway Winners!! Karen’s Killer Book Bench with Jennie Marts!! **SPECIAL GIVEAWAY**: The Page Turners book club loves to search for clues and romance while eating really great desserts. 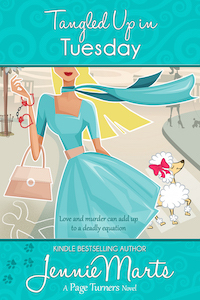 Tangled Up in Tuesday is the fourth book in the Page Turners series. With the holidays right around the corner, Jennie will giveaway an ebook copy of A Cowboy for Christmas–A holiday novella in the Page Turners series–to two readers who comment below with a favorite holiday tradition. Thanks again, Jennie, for sharing your book with us! 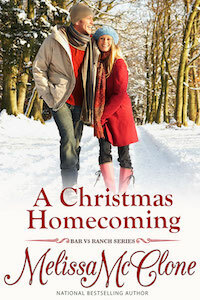 **SPECIAL GIVEAWAY**: In one scene of my story, a reindeer is mentioned. I thought it would be fun to put together a reindeer-themed prize pack. Which one of Santa’s reindeer is your favorite? Answer in the comment section and one lucky winner will receive the reindeer prize pack that includes: Stuffed reindeer, A Christmas Homecoming keychain, socks, hot pad, earrings, cupcake holders with reindeer and Santa picks, hot chocolate, ornament, sticker book, candy and autographed Christmas title from my paperback backlist. ** Open Internationally ** Thanks, Melissa, for sharing your story with us! WINNER ~ BONNY DIXON MacISAAC!! 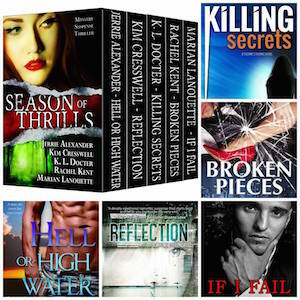 Karen’s Killer Book Bench **Thanksiving Giveaway** by KAREN DOCTER!! 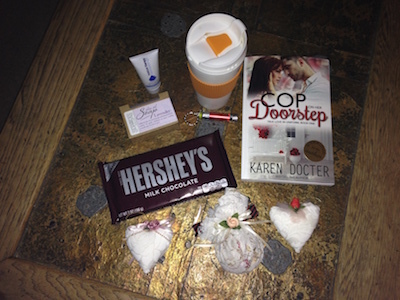 **SPECIAL GIVEAWAY**: For a chance to win one autographed print copy of COP ON HER DOORSTEP, one Giant Hershey Chocolate Bar, one LED flashlight, hand lotion, lavender soap, one travel coffee mug, and three handmade (by Karen) Victorian Christmas ornaments, comment below and share one thing that you’re thankful for this holiday season! Happy Reading! Karen’s Killer Fixin’s **Author Special** with Shannyn Schroeder!! 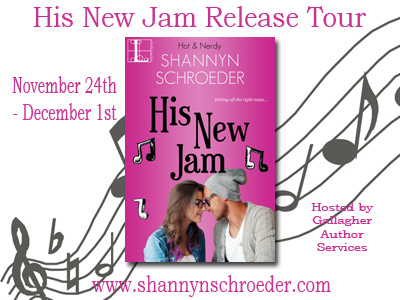 **SPECIAL GIVEAWAY**: EBook of HIS NEW JAM by SHANNYN SCHROEDER!! EVERYONE’S A WINNER FOR A LIMITED TIME!!! TWO DAYS LEFT!!! Don’t miss the SEASON OF THRILLS BOX SET for only $.99 ~ Pre-order Only!! 9 Responses to Congratulations Week 11-16-15 & 11-23-15 Giveaway Winners!! As you know, my Thanksgiving Giveaway is now closed. I do want to take a moment to thank everyone who stopped by and shared what they were most thankful for. I wish I could have responded to each one of you but the response was huge, over 120 wonderful readers. I wish I could have given a book to all of you. Congrats to the winners, et al, and onward to the rest of the holiday season!